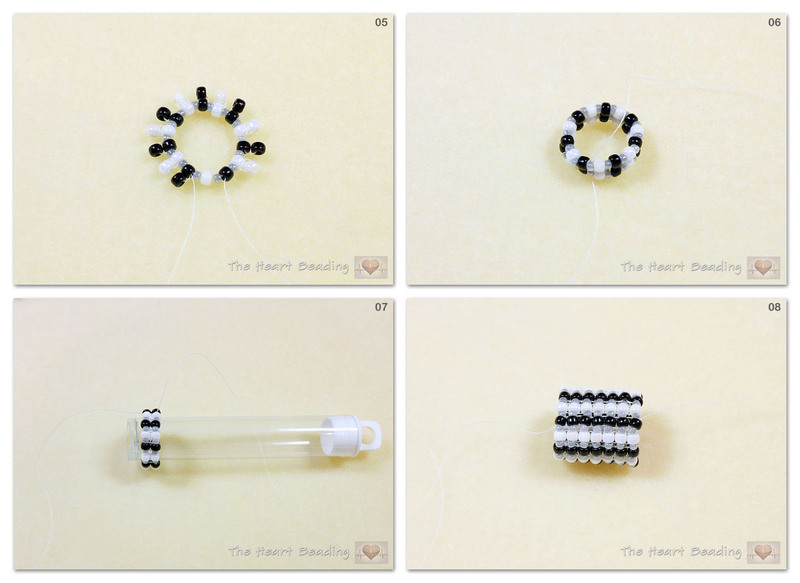 I had in my stash some twin beads that were released even before the superduo beads. They are very irregular, so I was thinking about what kind of project I could make good use of them. 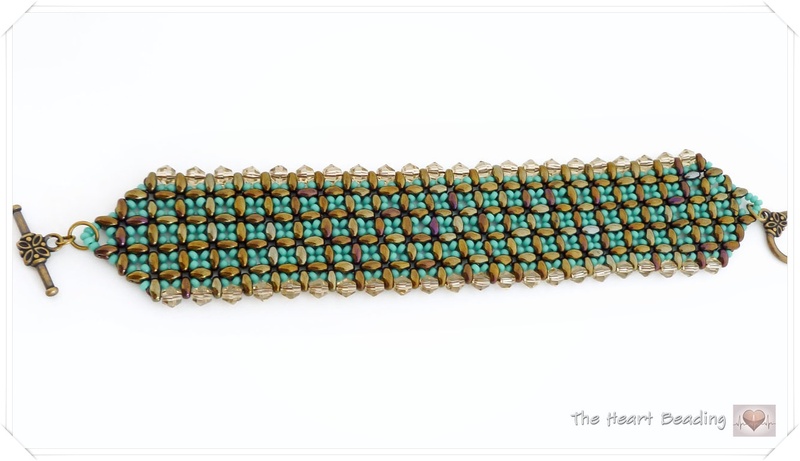 It was when I saw a tutorial on the beading daily website, teaching how to make a bracelet using the right-angle-weave technique with superduo beads, that I had the idea to create a bracelet using my old twin beads. 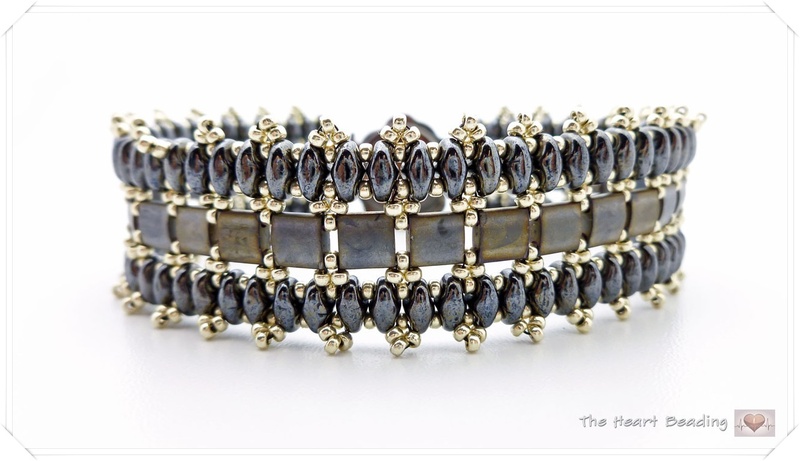 The bracelet is very simple: it's just right angle weave with twin beads. 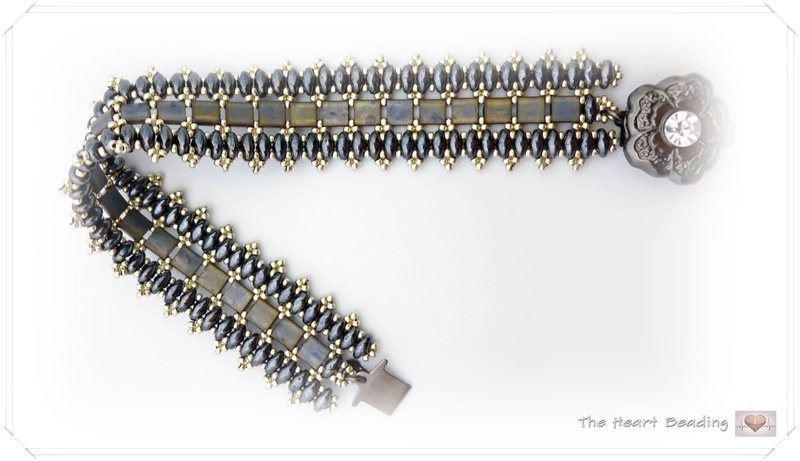 I used seed beads 11/0 to fill the gaps between the twin beads. 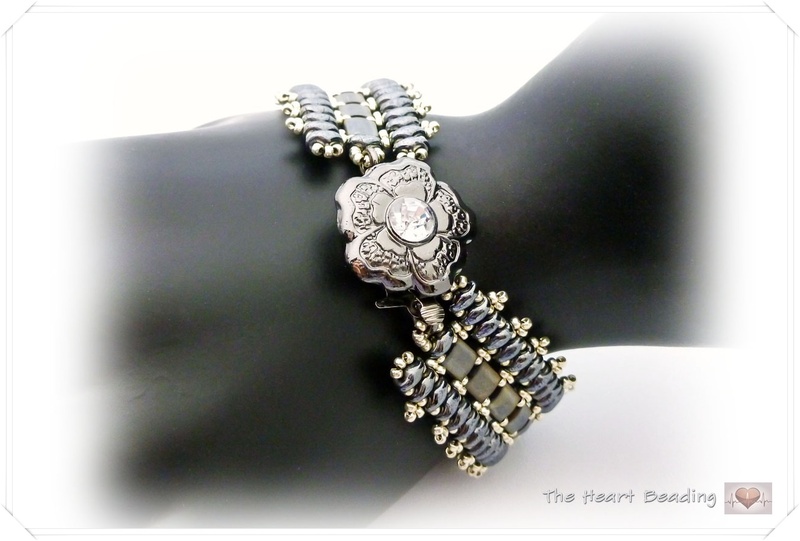 And I embellished the sides with crystal bicones. 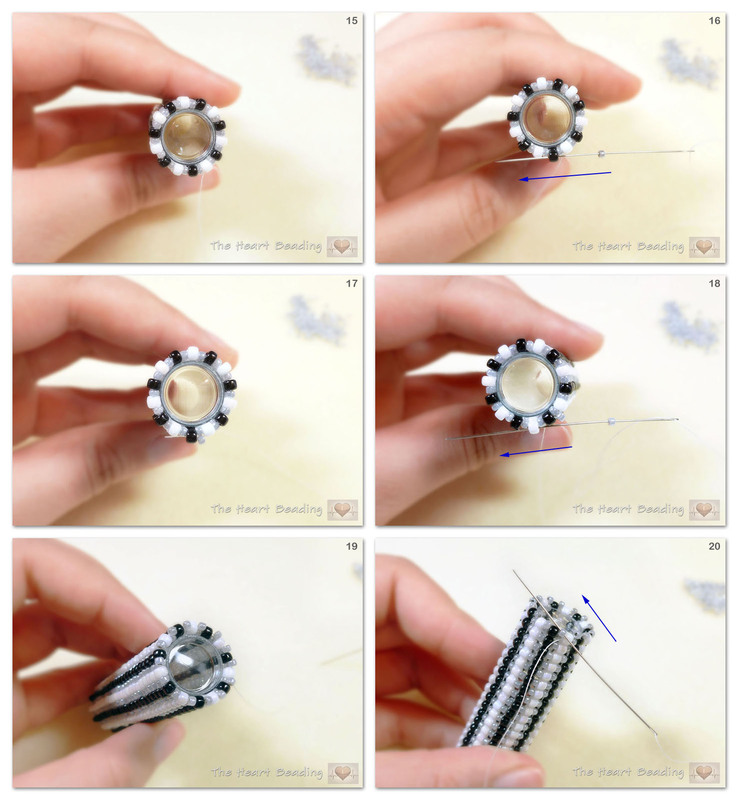 The good thing about do right angle weave with twin beads is that the irregularity of the bead's shape doesn't affect the design. 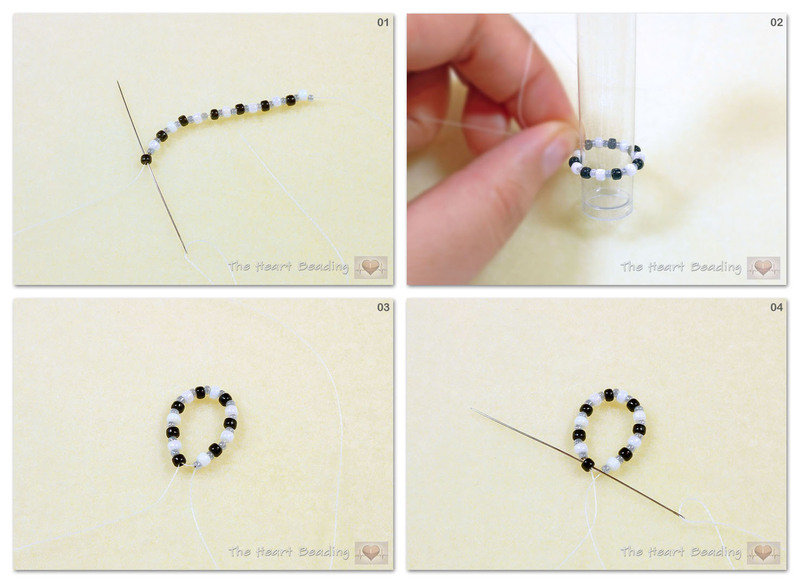 I made a tutorial to show you all the steps to create the bracelet. 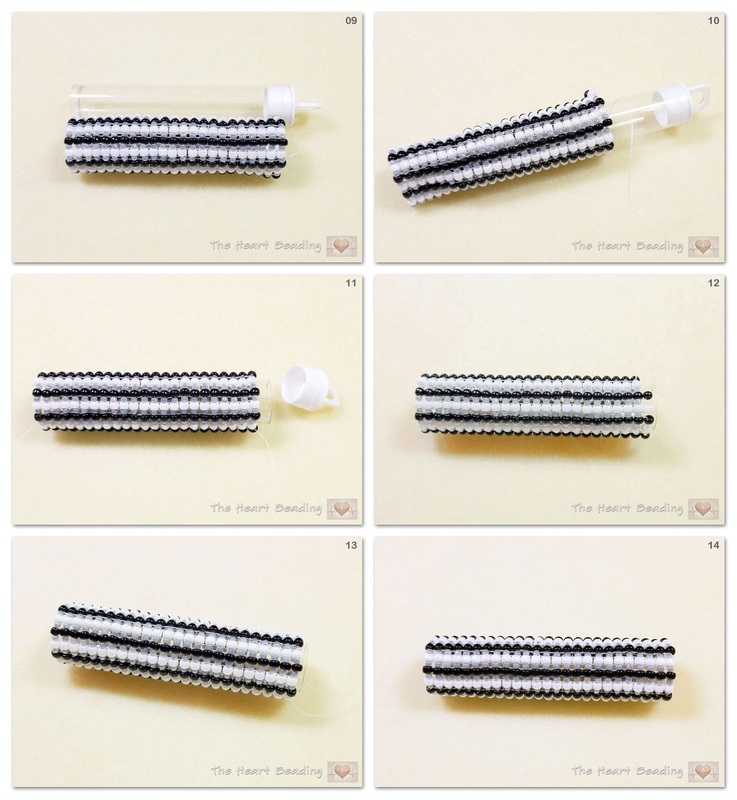 As you'll see, it's very simple and the steps are very repetitive. But if you never tried right angle weave before, it may looks confuse to you. 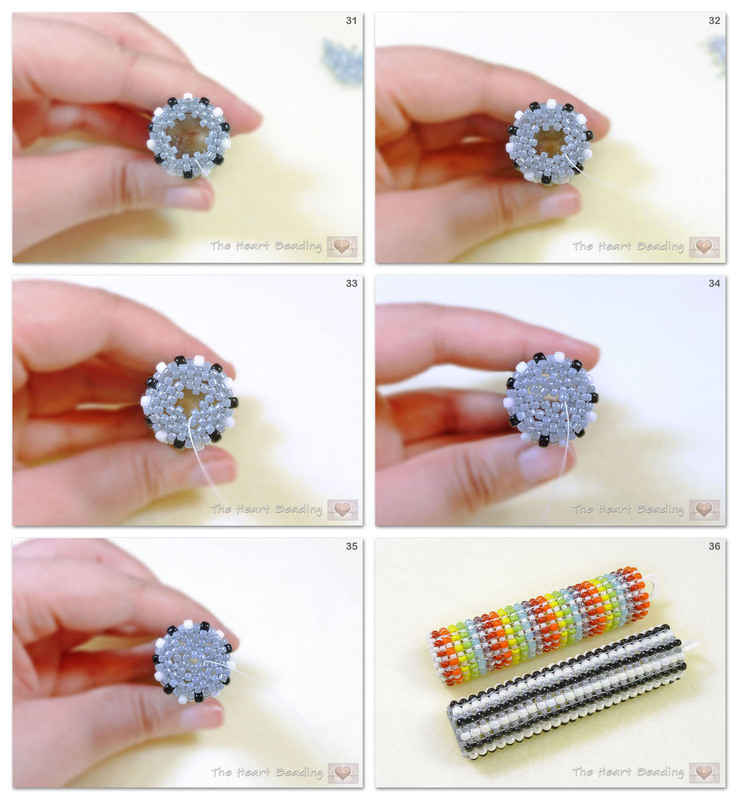 I suggested in the video that you to use twin beads, but you can also use superduo beads. 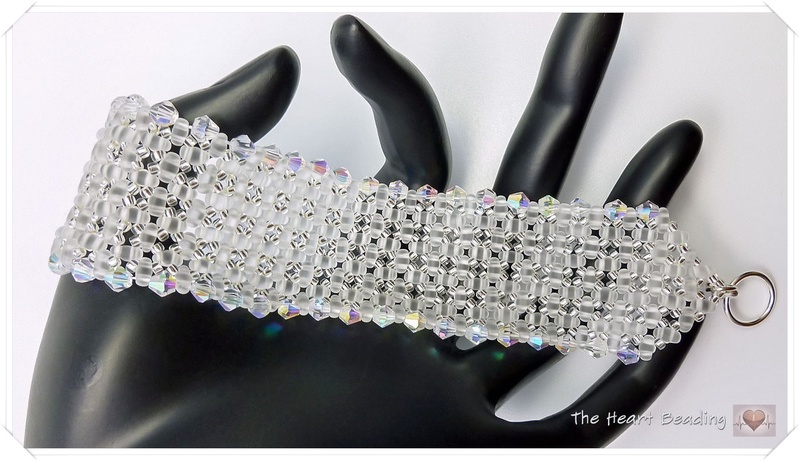 I used chip bicone crystals so I don't have the color name of them. 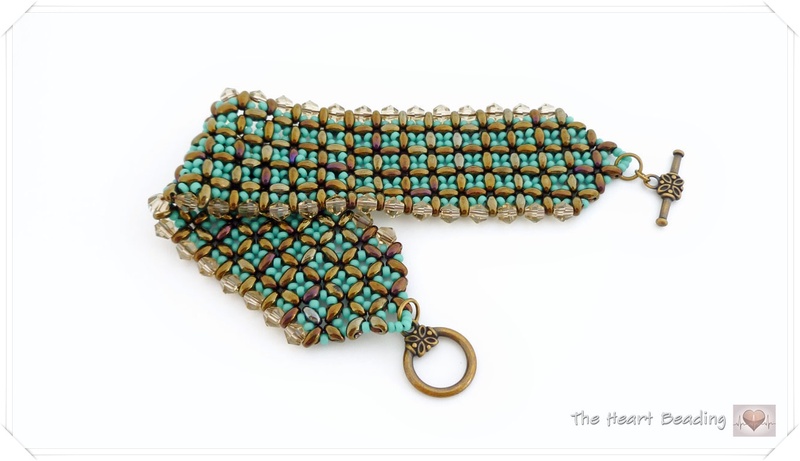 I used thread size D to make the bronze-green bracelet and it was pretty hard at the end to pass my needle through the beads. 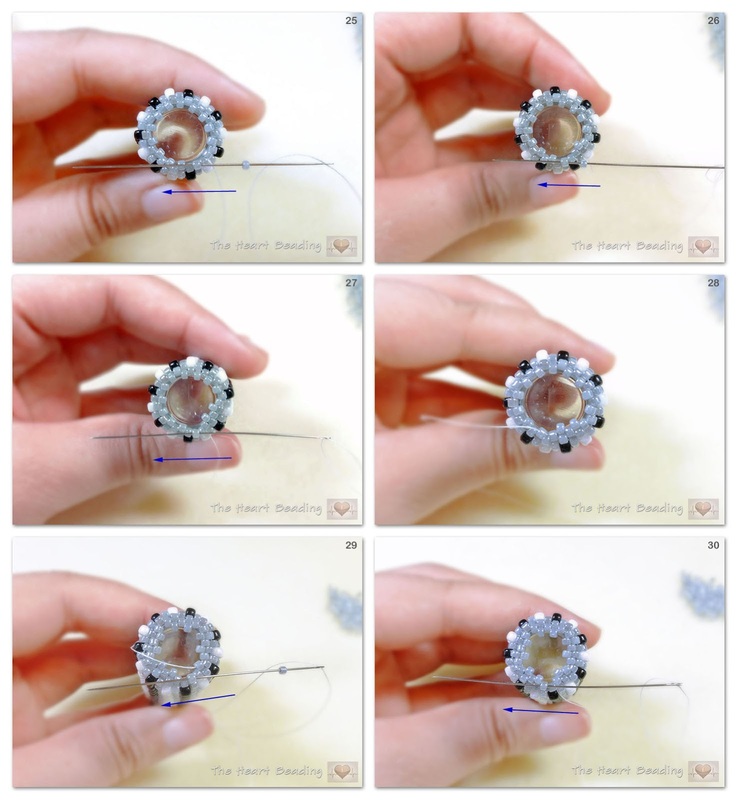 So to avoid this problem, I suggest you use threads equivalent to Nymo size B.
I'm sorry because I'm uploading this tutorial so close to the Valentine's day! 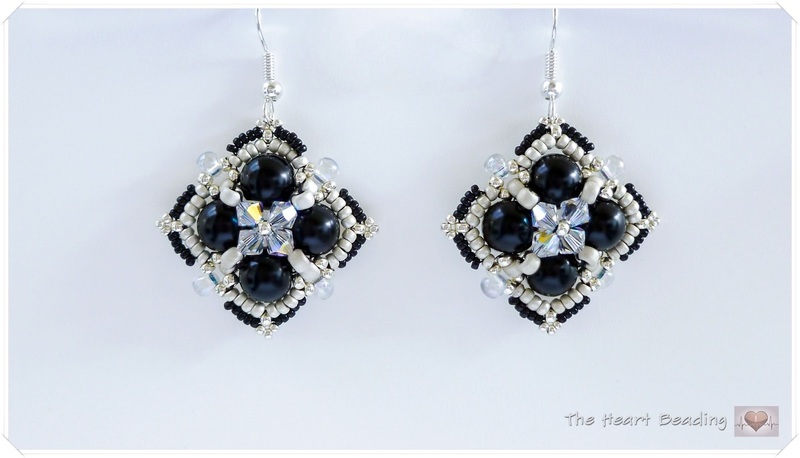 I only came up with the idea to make these earrings in the last weekend. But the good thing is: they are very easy and fast to do. It took me about two hours to make the second version. 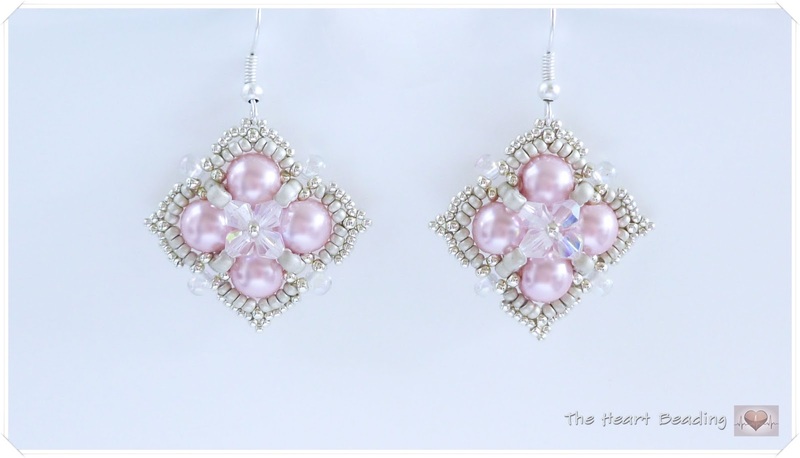 I tried to make the earrings very feminine and delicate. I hope you like it!